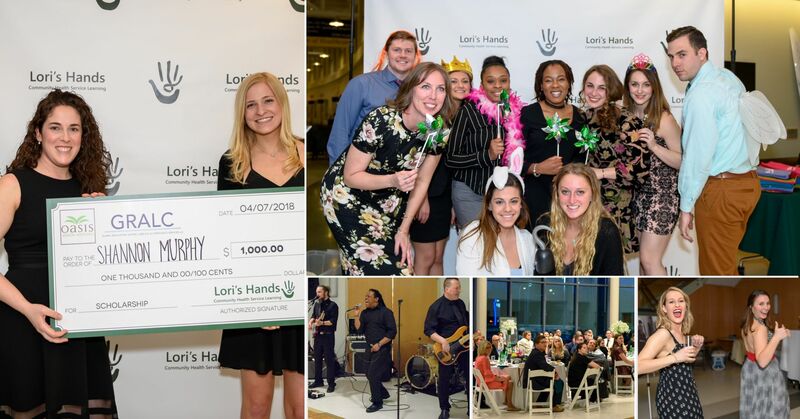 Enjoy an evening with friends and family as we honor ten years of community health service learning with Lori's Hands! Join us in The Audion of the University of Delaware Tower at STAR for an evening of celebration. Tickets include a four-course dinner and an open beer and wine bar. Cocktail attire is suggested. Guests who wear an element of green, our signature color, will receive a free raffle ticket with any raffle ticket purchase. Be sure to wear your dancing shoes: Chorduroy Band will be encouraging everyone to get on the dance floor as we celebrate our tenth anniversary! Please also RSVP on Facebook and invite your friends! Can't join us? Please consider sponsoring a ticket to allow a Lori's Hands client to attend the event at no cost. All event proceeds benefit Lori's Hands clients and volunteers. For out-of-town guests, we have booked a block of rooms at the Candlewood Suites. Please use this URL to book your room at a discounted rate. Guests are also of course welcome to choose one of the other many hotels in the Newark area. This ticket type is available to current graduate students in any university program as well as alumni volunteers of Lori's Hands. The ticket includes admission for two individuals; at least one person in the couple should be a current graduate student or a Lori's Hands alum. A table includes seating for 10 individuals.